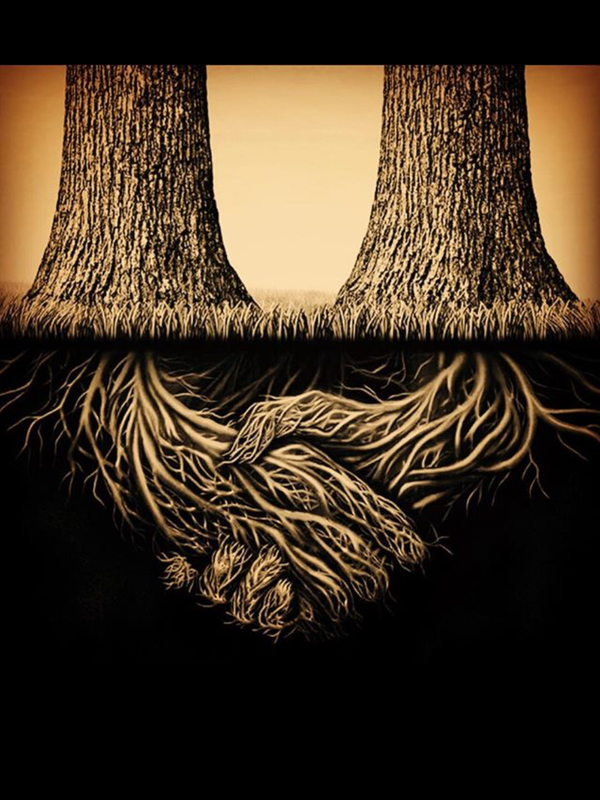 Researchers at the University of British Columbia are concluding that trees are interacting with one another in a symbiotic relationship that helps the trees to survive. Connected by fungi, the underground root systems of plants and trees are transferring carbon and nitrogen back and forth between each other in a network of subtle communication. 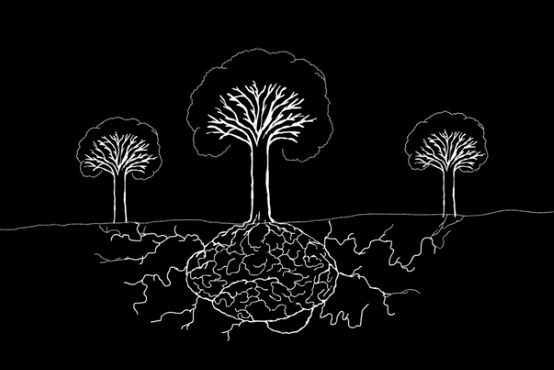 Similar to the network of neurons and axons in the human brain, the network of fungi, roots, soil and micro-organisms beneath the larger ‘mother trees’ gives the forest its own consciousness. In this real-life model of forest resilience and regeneration, Professor Suzanne Simard shows that all trees in a forest ecosystem are interconnected. Can humans form a similar shared and decentral “collective intelligence” out of a wide diversity of perspectives?